The Lamplighter Theatre presents its rendition of Leonard Gershe’s 1969 play about a blind aspiring songwriter who falls in love with a free spirit in Manhattan. 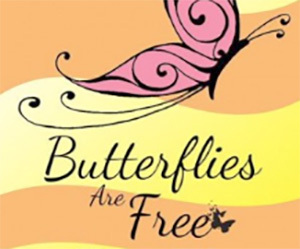 “Butterflies are Free,” winner of the 1970 Tony for Best Stage Actress, is a touching and entertaining drama about finding one’s way in the world. Directed by George Bailey. Tickets are $22; students and military $19. 5915 Severin Drive. For tickets and show times, visit bit.ly/2OQsSsF. Grossmont College is getting in the Halloween mood with its fall fundraiser and invites guests to join for readings of classic creepy stories including Edgar Allen Poe, Mary Shelly, and folkloric tales from Ireland and Mexico. All proceeds from the event go directly to support students involved in the Summer Arts Conservatory program. Tickets are $20 or $10 for students. 8800 Grossmont College Drive, Room 26-241. For tickets and more information, visit bit.ly/2CCxMGx. 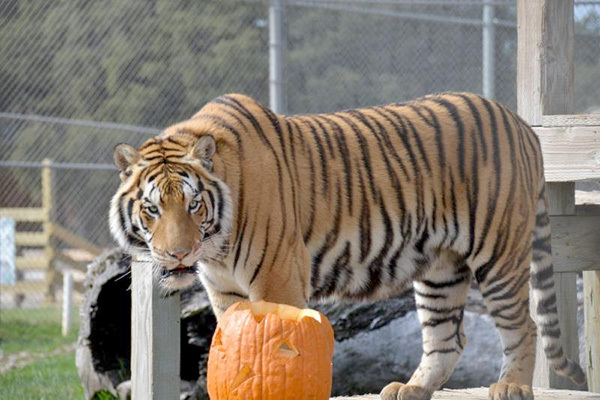 Local animal sanctuary, Lions Tigers & Bears Animal Rescue, will host its annual Halloween camping celebration where guests will be able to pitch their tent and spend an evening with some of the county’s wildest animals. Family-friendly festivities will include a costume contest, pumpkin carving, campfire s’mores, and a chance to feed the big cats and bears. This overnight event will go from 3 p.m. on Friday, Oct. 26 to 10 a.m. on Saturday, Oct. 27. Tickets are $80 for nonmembers and $50 for members of the sanctuary. 24402 Martin Way. To learn more or to purchase tickets, visit bit.ly/2CD0EOQ. 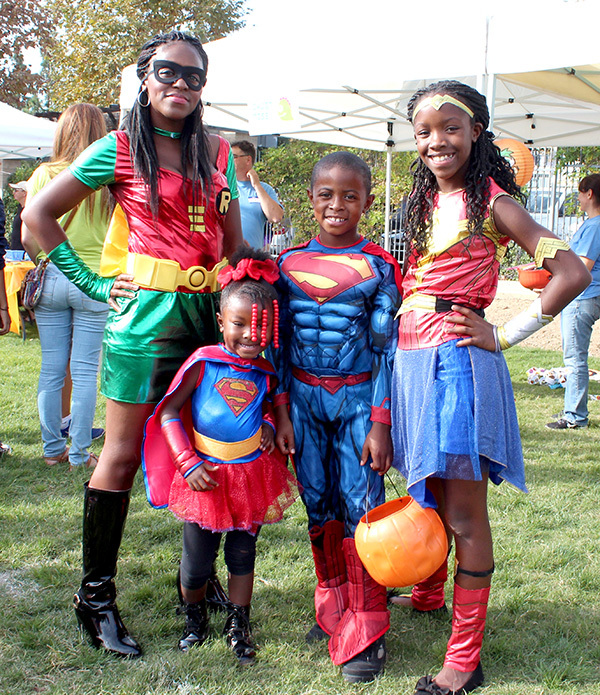 Join the Salvation Army Kroc Center and get dressed up with the family at the 16th annual Boo Bash. This year’s autumn celebration will be from 1–4 p.m. Admission includes inflatables, carnival games, candy and prizes, pumpkin decorating, rock climbing, family-friendly music, goody bags and more. $1 per person. 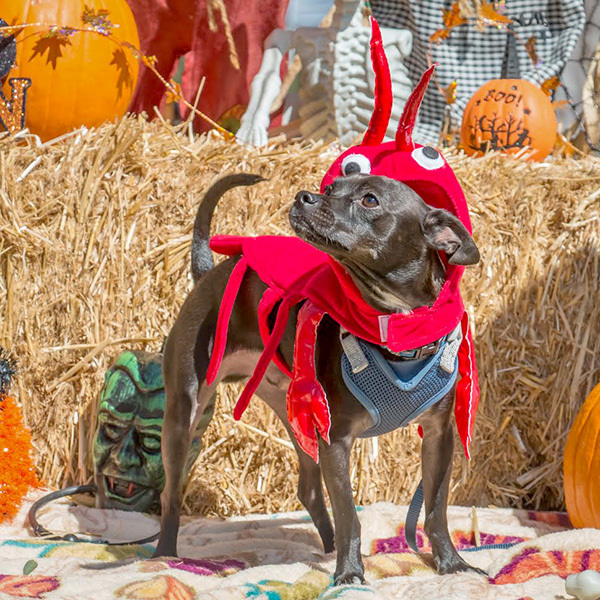 Salvation Army Kroc Center Recreation Field, 6753 University Ave.
Canine Corners nonprofit presents their annual Halloween party for dog lovers. Festivities will include a dog costume contest, a raffle, an agility course, demonstrations, exhibits from dog trainers and health experts, and a number of dog rescue groups with adoptable dogs onsite. Event goes from 11 a.m.–2:30 p.m. at Harry Griffen Park. 9550 Milden St. Free. 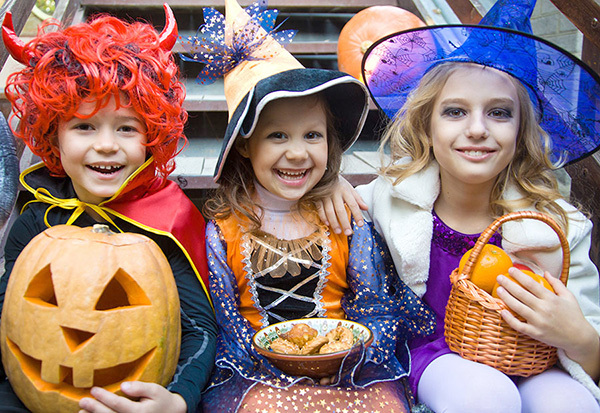 Take the family to Grossmont Center for some Halloween fun this year with trick-or-treating happening at the mall, which comprises more than one million-square-feet of shops, stores, and restaurants. Don’t miss a special guest visit from conservation educator Ms. Smarty-Plants who will be there with a cast of her creep-crawly friends. Trick-or-treating runs from 3–5 p.m. with the show starting at 4:30 p.m. Free. 5500 Grossmont Center Drive. The La Mesa Historical Society hosts its 13th annual home tour which examines the architecture and natural beauty of the area. 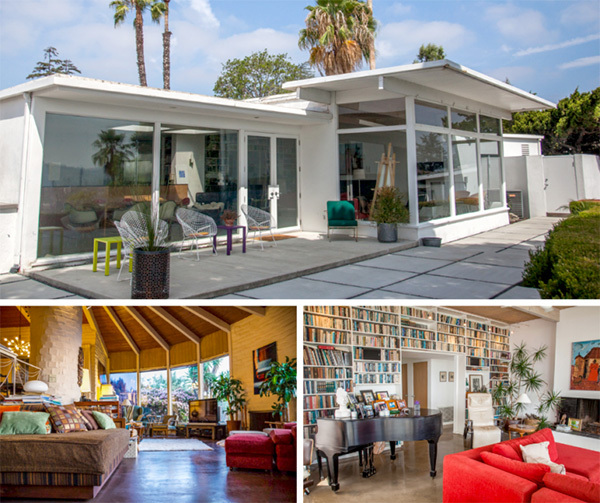 This year’s theme is “modern mud,” which highlights adobe, classic, and mid-century gems in both the Eastridge and Mt. Nebo neighborhoods. Tour will be from 9 a.m.–3 p.m. $40. For tickets and information, visit bit.ly/2CDFxvV. Temple Emanu-El will hold an art festival featuring 40 local artists showcasing their works on from 9 a.m.–3 p.m. Handcrafted goods will be available including pottery, photography, jewelry, fused glass, Judaica, art, wood, paper and fabric items, knitted scarves, painted gourds, and more. A raffle drawing and silent auction will also take place; proceeds will fund scholarships for local high school seniors. Free. 6299 Capri Drive. Get crafty and learn how to make your own mosaic art at Nainsook Framing. Bring your own box or tray to decorate or use a clay pot from the studio. All mosaic supplies including tiles, mastic, terra cotta and grout will be provided. Class will run from 10 a.m.–4 p.m. Snacks will be served. $40. 8130 La Mesa Blvd. For more information, visit bit.ly/2CCxPlG. 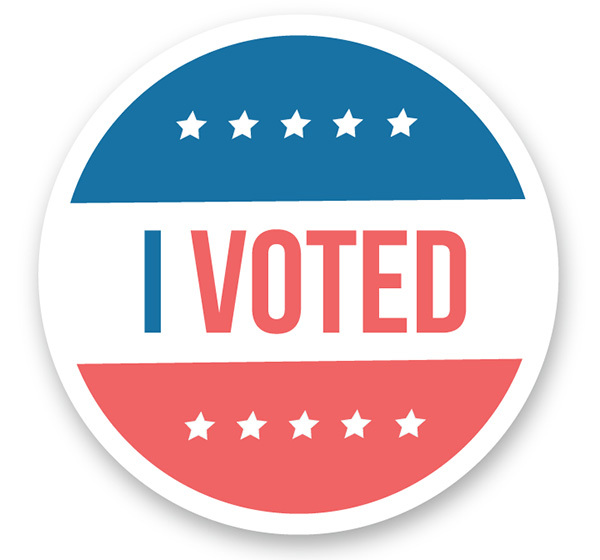 Nov. 6 is midterm election day across the country so be sure to get out there and make your voice heard. A number of impactful state and local propositions and positions are up for the vote this year. To check voter registration, find your nearest polling place or to view your sample ballot, check the San Diego Registrar of Voters at sdvote.com. 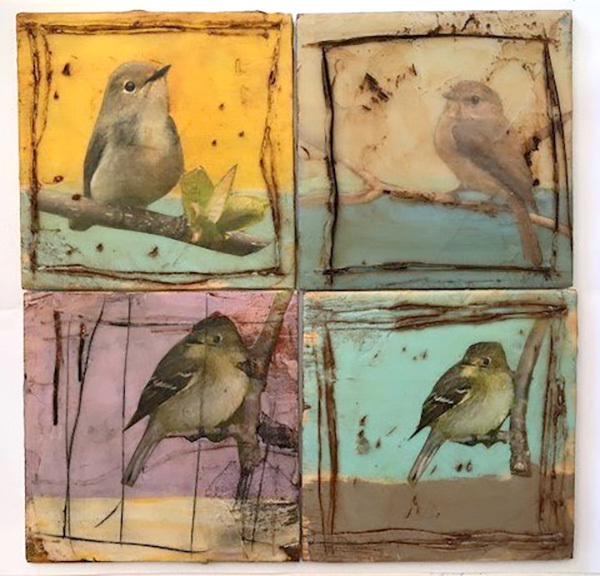 Nainsook Framing invites artists and amateurs alike to a group painting workshop that will focus on creating a set of four acrylic or collage birds. Workshop staff will be there to walk guests through the process step by step. Get a head start on your holiday shopping by making a great gift. All materials and snacks will be provided, guests are invited to bring their own wine as well. Class will be held 6–8:30 p.m. $35. 8130 La Mesa Blvd. For more information, go to bit.ly/2q8DWGQ. The La Mesa Chamber of Commerce will welcome its newest member, Dr. Shannyn Fowl, and the Journey of Health Medial Clinic. A celebration and ribbon cutting are planned for the clinic with food, a charity raffle with prizes, venders, and more. Event runs from 5:30–7 p.m. with the ribbon cutting at 6:30 p.m. 7200 Parkway Drive. For more information or to RSVP, visit bit.ly/2CBgMR8. San Diego Oasis hosts its 6th annual tech fair, which aims to addresses the needs of older adults in a rapidly changing digital world. Highlights of this year’s expo include a workshop on voice activated devices, a briefing with local law enforcement on methods to prevent fraud and identity theft, and the always popular “Ask the Experts” demo. Join volunteers from local Boy Scout and Girl Scout troops, who provide tech support and demos for older adults with questions about their personal tech tools. Lunch will be provided, and admission is free. 9:30 a.m.–2:30 p.m. 5500 Grossmont Center Drive. To learn more or to register, go to bit.ly/oasistech. Come help the La Mesa Chamber of Commerce welcome La Mesa Floral Design Shoppe to the community with their grand opening. Meet owners Joan Ham and Ben Budraitis and their team and learn about their 26 years in floral arrangement experience. Enjoy beverages and hors d’oeuvres provided by the owners. Event runs from 5:30–6:30 p.m. 8759 La Mesa Blvd. RSVPs are encouraged, email rsvp@lamesachamber.com. 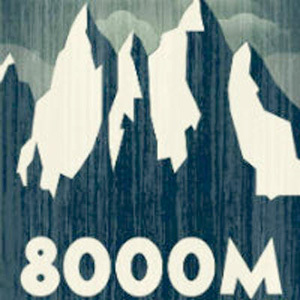 The Moxie Theatre, in partnership with Golden Shards Productions, present 8000M — a play from David Greig directed by Alice Cash. Follow the story of an exhibition team attempting to reach one of the world’s highest peaks and see their struggle to survive the harsh conditions together. Featuring a cast fresh off a sold-out run in New York City, 8000M premieres for the first time in San Diego at the Moxie. Tickets are $25 or $15 for students. For tickets and showtimes, visit bit.ly/8000MSD. Join the La Mesa First United Methodist for an alternative Christmas market. This alternative market aims to share love with others, promote self-sufficiency, help the homeless, and support church mission work. Representatives from local and international nonprofits will be in attendance. 9 a.m.–12:30 p.m. 4690 Palm Ave. 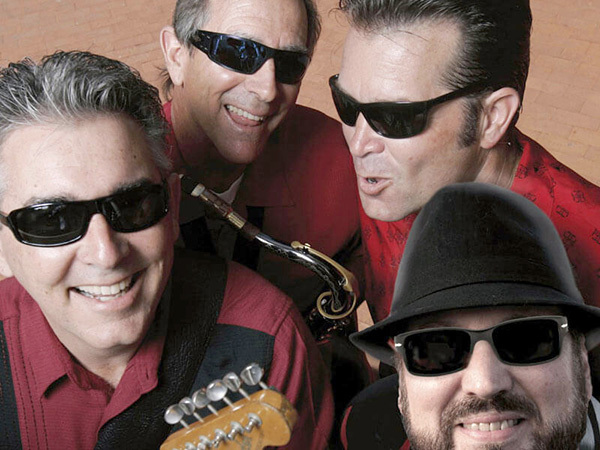 Kick off Black Friday at Grossmont Center with the farewell concert for local classic cover band, CATILLACS. Stage will be located in front of the guest services desk and the show starts at 3 p.m. Stick around after the show for Christmas tree lighting. Free. 5500 Grossmont Center Drive. Ladies of all ages who love to sing are invited to four-part harmony chorus rehearsals 7–9 p.m. on Mondays. Located in the social hall of La Mesa First United Methodist Church, 4690 Palm Ave. Free. The Grossmont Center hosts the StoryTent on Sundays which invites kids of all ages to pick out a book, read it out loud to a volunteer, and earn cool prizes for reading. Volunteers ask engaging questions to help kids build reading comprehension and critical thinking skills. Free. 5500 Grossmont Center Drive.